Until recently, anyone who tried to browse our website on a handheld device was frustrated pretty quickly. Good news! 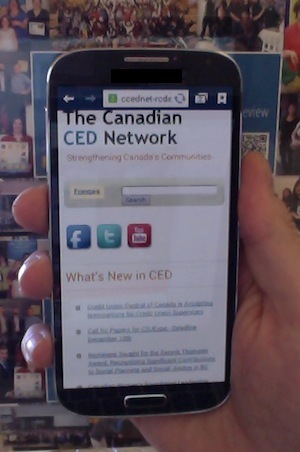 We made some improvements, and the website should now be navigable on your phone. That means you can access the latest news, jobs, events, resources, and even find CCEDNet members near you (using our new member map), wherever you are.